This is her third album. But I think it took me that long to really give her the time she deserved. There were seriously so many great albums this year that could have been in my top ten. She is the female equivalent of The Tallest Man on Earth. A bit darker though. Dark and dreamy folk music. She has an amazing voice. This is one of those albums that I forget how much I like until I listen to it again. I almost forgot to include it on my "Best of" list this year. But this album is really one of the best of the year. You can't listen to "Give Out" or "Serpents" and not fall in love with this album. 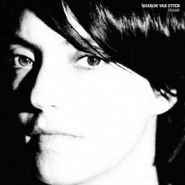 It could be easy to label Sharon Van Etten a moody singer-songwriter — she concisely conveys the way a lover can affect your entire life’s outcome in standout "Give Out" with the line “You’re the reason why I’ll move to the city, or why I’ll need to leave.” But she also proves herself a songwriter capable of conveying many moods across Tramp, which shifts from the dreamy "Kevin’s" to rocking "Serpents" or swaying, uplifting "Leonard" without missing a beat. Aided by tasteful production that layers warm reverb onto her throaty voice and guitar playing without caking it on too thickly, not to mention choice cameos, especially by Beirut in "We Are Fine," Tramp is the best summation yet of her talents, pulling her out of her shell for beautifully yearning and high-register vocals in songs like "In Line" while keeping the coolness of her husky voice and elusive persona intact.